Meet two teenagers launching online petitions to success. Meet the two 16-year-olds making the nation sit up and listen. 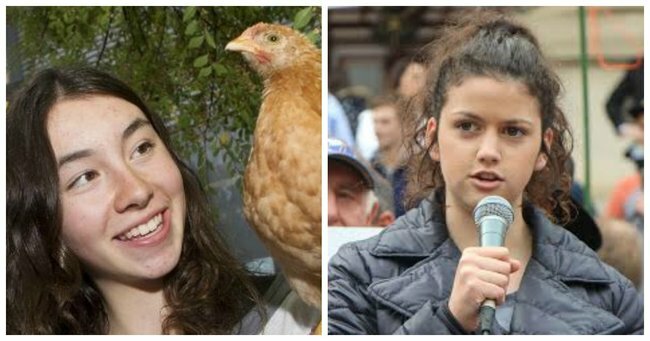 One of these teenage girls grew up in Melbourne’s inner north and the other grew up on a farm in regional Victoria, but they have a surprising amount in common. For one thing, Angelina Popovski and Chloe Scott are both animal lovers. They’re also the same age — 16 — and despite neither of them being old enough to vote, they’re both making groundbreaking changes on a national level. In recent months, most major Australian supermarkets have boycotted cage eggs, but international supermarket giant Aldi was not among them. As part of a school project Angelina started an online petition calling on the company to abandon its “barbaric” policy. "Their beaks are deliberately cut without painkillers, some are even trampled or starve to death from neglect - and they’re crammed into tiny miserable cages, with no more space than an iPad and can barely move. Most will never see sunlight," she wrote on Change.org. Animals Australia soon got behind her, along with more than 95,000 other Australians. Basically, Aldi customers cracked it. "A lot of people were calling Aldi and complaining and emailing them. I wasn’t expecting that many people to help," she told Mamamia. And it worked. Aldi announced they&apos;ll commit to selling cage-free eggs by 2025 — a deadline the RSPCA still thinks could come a little sooner. "A lot of people don’t know about the cruelty that’s happening to animals and I think if people witnessed where these animals are raised and the pain they’re going through, they’d probably change their views on factory farming and their eating habits," Angelina said. "I think people should find out where their food is coming from." One person who does know where at least some of Australia&apos;s food is coming is Chloe, who grew up on a dairy farm near Camperdown. She also knows first-hand the devastation caused to local dairy farmers by unfair price cuts from big corporations like Murray Goulburn and Fonterra. 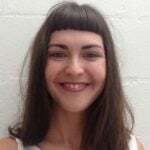 "The massive cuts to milk prices - slashed by 10 per cent and more - have had significant and horrible impact on finances and our lives," she wrote on her own Change.org petition, referring to Coles and Woolworths&apos; controversial $1 milk prices. "Putting profit before people and leaving thousands of families in the dirt." Her target was Deputy Prime Minister Barnaby Joyce, who she asked to step in and address the milk pricing system and help farmers. Chloe became the face of the campaign and helped to win half a billion dollars of relief for farmers, $2 million of which will set up a milk pricing index and all of which Barnaby announced directly on her petition after more than 161,000 people signed it. Like Angelina, she was surprised by the enormous amount of support she received. "There’s no limit to anyone who can make change it doesn&apos;t matter who you are or how many of your there are. Everyone has a voice and you can express that," Chloe told Mamamia. "I think it’s important that kids today actually have an interest in what they’re going to grow up and be surrounded by. It doesn&apos;t matter who you are, you can grow up and achieve anything."